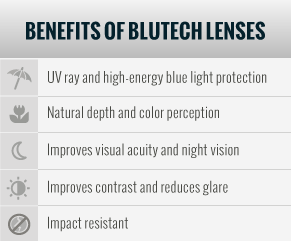 Blutech lenses offer protection against blue light - and a true color experience. Change how you see the world, and how the world sees you, with Blutech Lenses. The most technologically advanced lenses you can get, Bluetech Lenses offer the ultimate in visual performance and protection for those who know and demand the best. You only get one set of eyes. And Blutech Lenses are the only lenses you’ll ever need for a lifetime of improved contrast, acuity, depth and color perception. Committed to the lifelong preservation of your vision, Blutech Lenses specializes in bringing revolutionary science-based technology to those demanding the ultimate in visual performance, comfort, and safety. Blutech lenses are not a coating that can scratch or wear off, Blutech's highly advanced lens is infused with proprietary pigments and dyes to mimic the way your eye naturally protects itself against blue light. Blutech Lenses provide protection from UV rays and harmful high-energy blue light without altering or distorting color perception. BluTech Lenses filter high-energy blue and ultra-violet light using ocular lens pigment derived from the auto-oxidation of 3- Hydroxykynurenine (3-OHKyn). Give your eyes the relaxation they deserve- Blutech indoor lenses provide protection from sources of harmful high-energy blue light, such as harsh fluorescent lighting, computer screens, and personal electronics, while also giving you soothing vision. 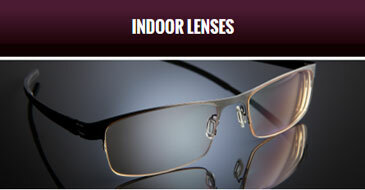 Blutech Lenses fit your lifestyle and any style frame. Protect and ease the strain on your eyes and see well into the future. 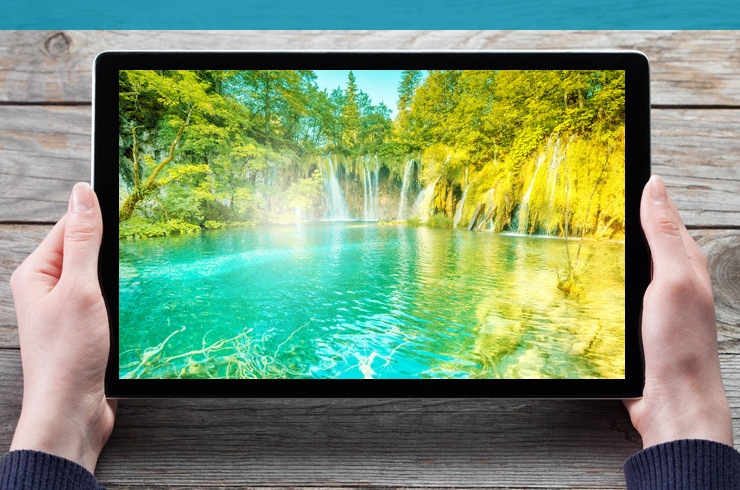 Protect yourself from the damaging UV rays and high-energy blue light. 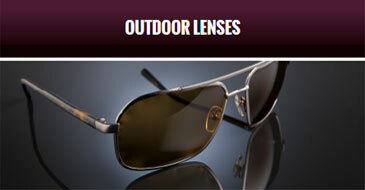 Wear Blutech outdoor lenses and experience the ultimate in visual performance and protection. See everything in high-definition – improved visual acuity, better color perception, reduced glare, and a unique lens technology gives you the outdoor protection you need and the durability to last a lifetime.